Propagation: ATCC complete growth medium: The base medium for this cell line is Alpha Minimum Essential Medium with ribonucleosides and deoxyribonucleosides. To make the complete growth medium, add the following components to the base medium: bovine calf serum to a final concentration of 7.5%; fetal bovine serum to a final concentration of 2.5%. 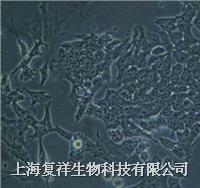 Subculturing: Protocol: Do not allow the cells to become confluent.